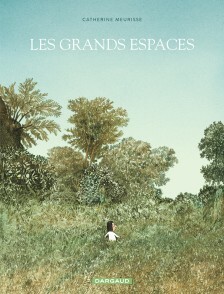 Les grands espaces, wide-open spaces. They are the stuff of our childhoods. Real or imaginary, they spark our imagination, and encourage sensitivity and critical thinking. More than that, wide-open spaces stimulate creativity, and set a child on a path towards becoming an artist. The original story of a childhood spent in the country, by the celebrated author of “La légèreté” (Lightness).